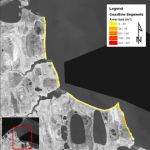 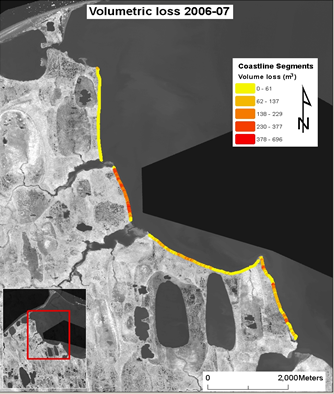 Along the 10.7 km coast of the Barrow Environmental Observatory erosion has been monitored with DGPS since 2002. 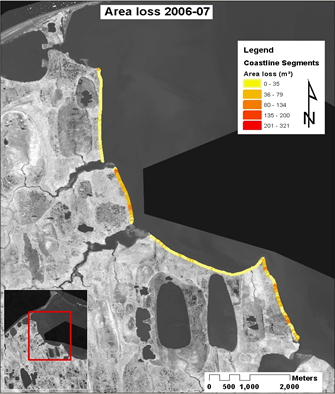 During the past decade, we have noted an average of 18.5m (19.3 ha) of coastal retreat. Anne Garland and Kathleen Fischer, Applied Research in Environmental Sciences Nonprofit, Inc.